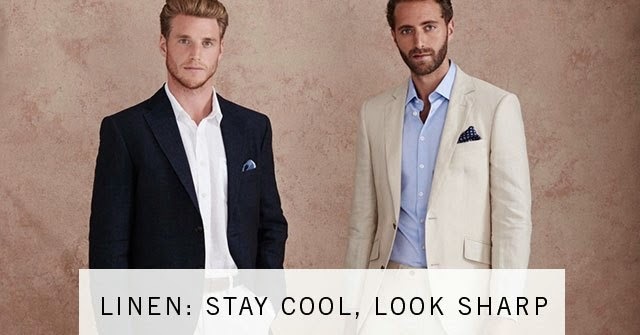 Austin Reed is not the only clever retailer selling linen garments for summer 2015. You may find interest in the following menswear styles made in this cool fiber. 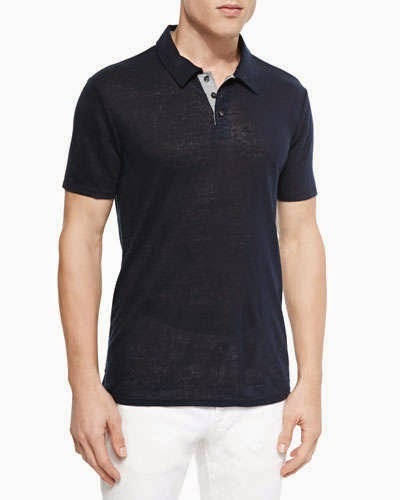 Vince Linen-Knit Polo, Navy found at Neiman Marcus. 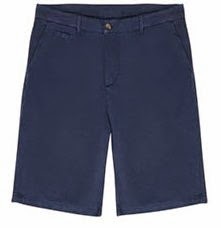 Vince was founded in 2002, Vince is a leading luxury, contemporary brand known for modern, effortless style and its everyday fashion-forward essentials. Vince offers a broad range of women's and men's ready-to-wear, including its signature cashmere sweaters, leather jackets, luxe leggings, dresses, silk and woven tops, denim, and shoes. 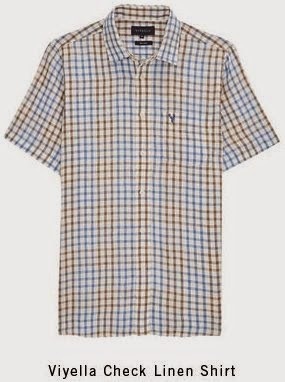 And as seen above, classy men's tops. Perry Ellis also makes a fine men's linen suit. 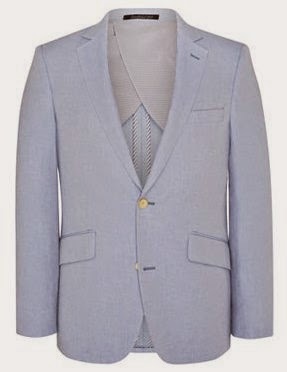 Lounge in luxury with this effortlessly polished suit jacket, crafted from a rich linen-blend. 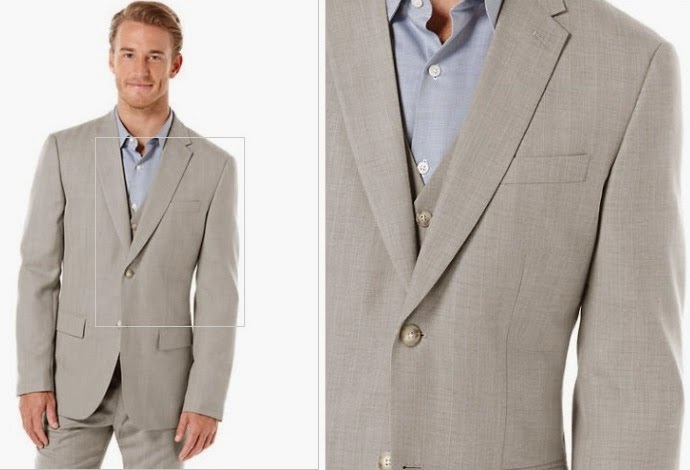 You can find the above Perry Ellis Linen-blend suit jacket at Lord & Taylor. You can learn about linen in our textile fiber directory. If you work in the fashion industry and wish to produce clothing in linen fabrics, you may have interest in our linen fiber and linen fabric pages.